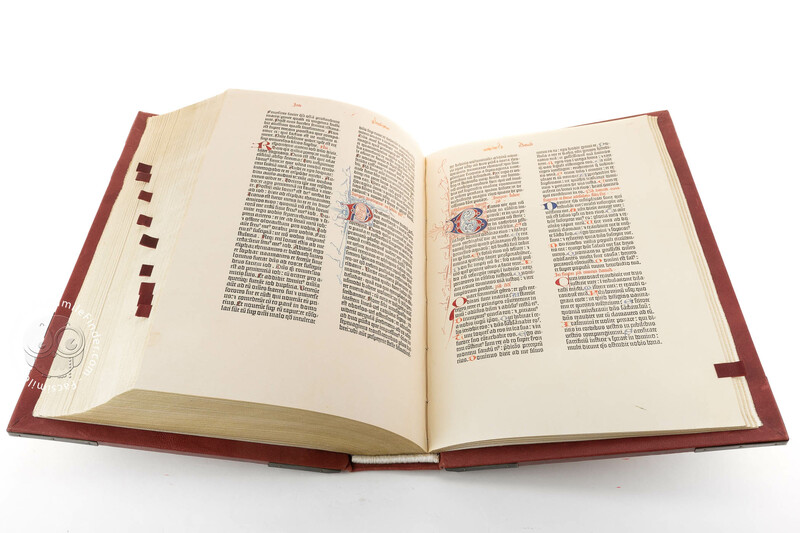 Johannes Gutenberg is credited with being the inventor of movable type printing. 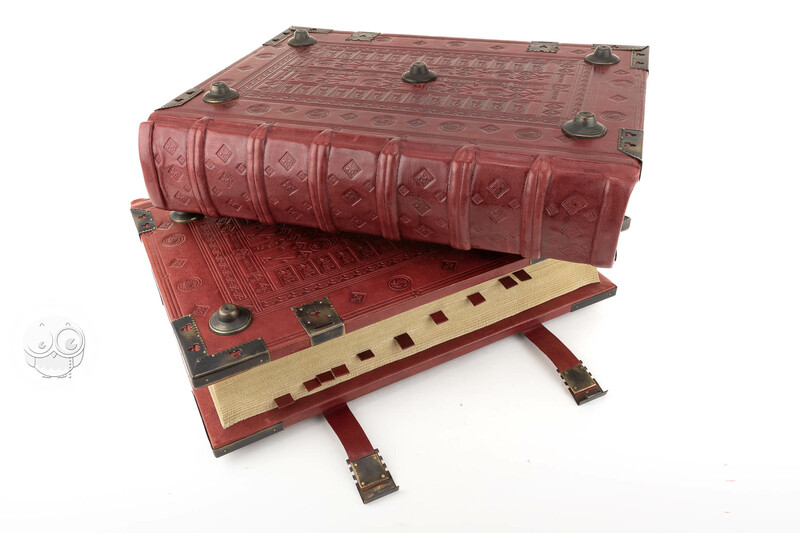 In the 15th century, books were so expensive that only a select few people could afford to own them. 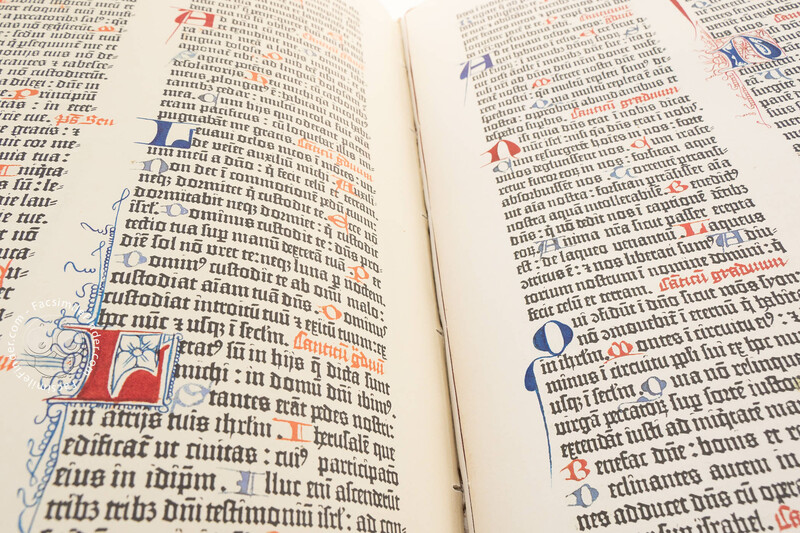 The Master of Magonza wanted to print dozens of identical copies of the Bible which, with their limited cost, would have been easier to circulate. 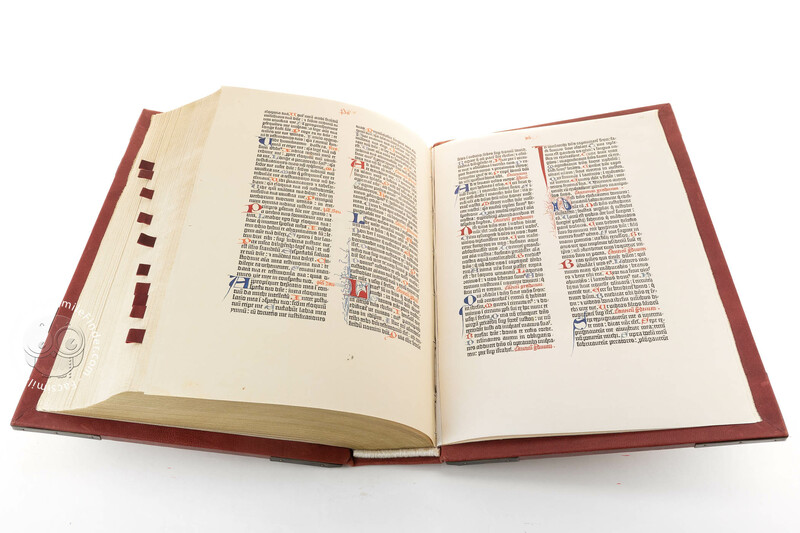 Between 1452 and 1455, around 180 copies of the Latin Bible were printed in 2 volumes written in Textualis typeface, which were then commonly used by scribes. 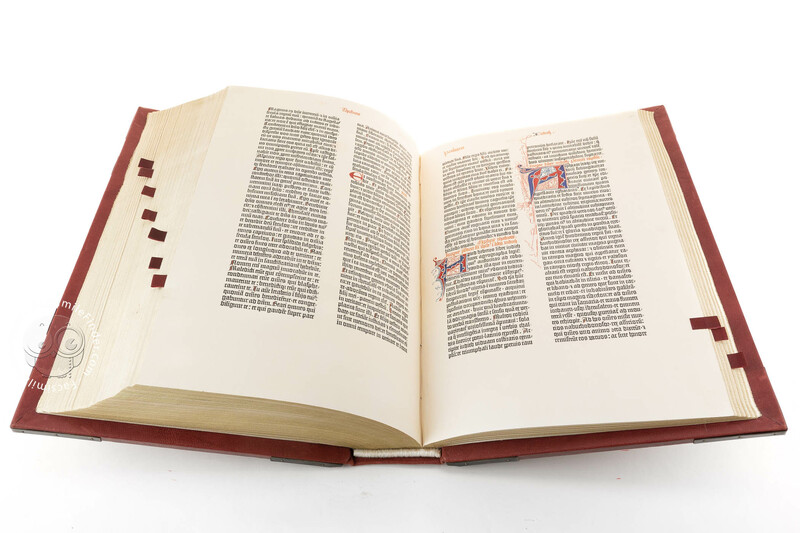 The Pelplin Bible contains the latin text of the Holy Scriptures in the translation of Saint Jerome and reports the comments and prologues taken from the Vulgate. 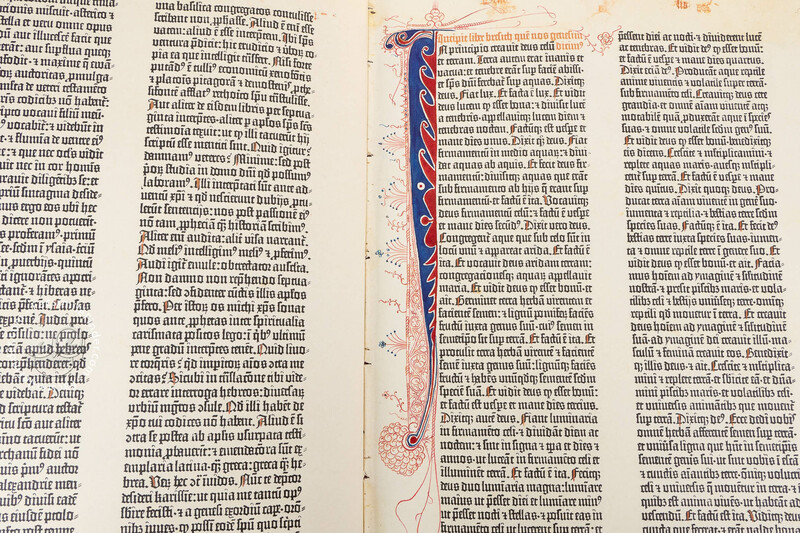 Of the 149 illuminated initials, the most beautiful is, without doubt, the first – the letter F – illuminated with 24 carat pure gold leaf and blue ink as well as being decorated by a splendid marginal ornamentation. 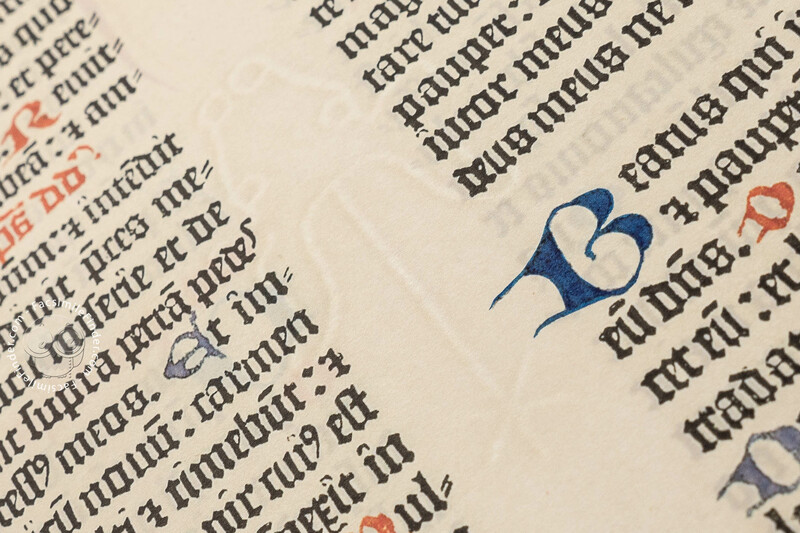 The remaining initials are two-tone – blue and red – with a delicate ornamentation created with the use of elegant extended shapes. 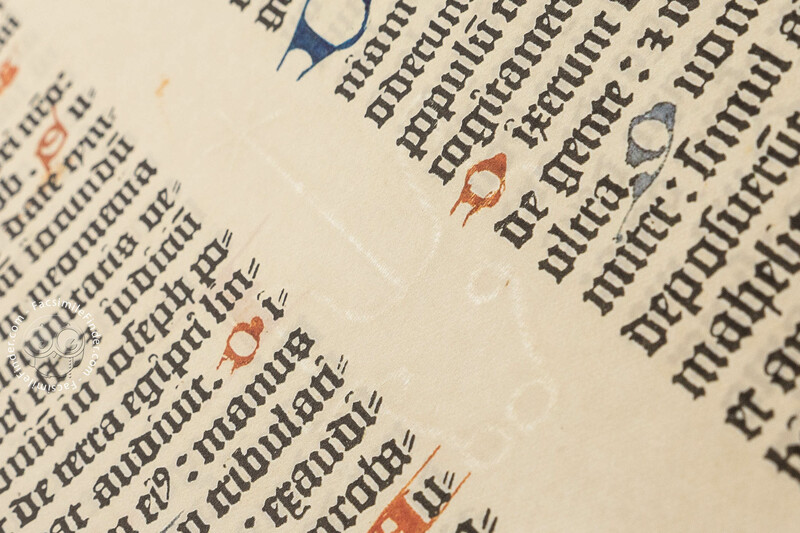 A minute but precious detail makes the Pelplin Bible, which was already of exceptional historical value, even more important: on folio 46 of the first volume there can be seen a mark the size of 25mm by 7mm. 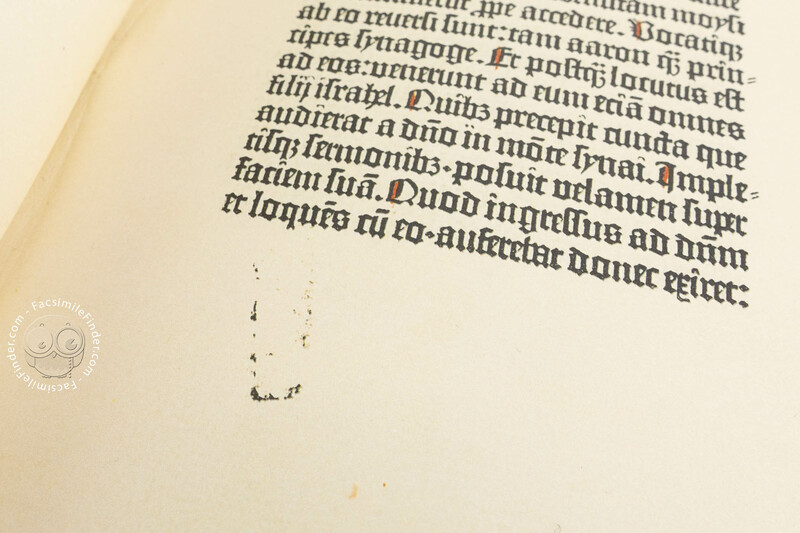 This mark is the sign of a movable type that must have accidentally fallen from the hands of the printer. 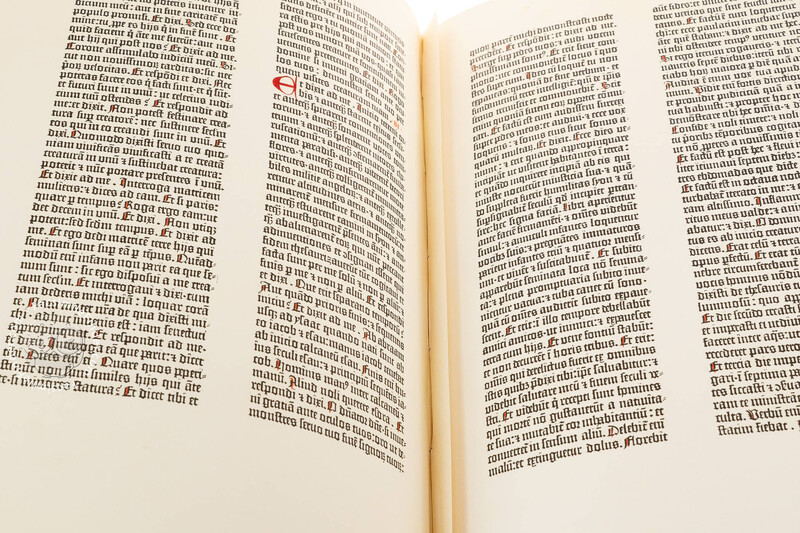 It is the very existence of this mark that has allowed contemporary scholars to date back to Gutenberg’s moveable character block structure, providing an essential aid to the study of the history of printing. 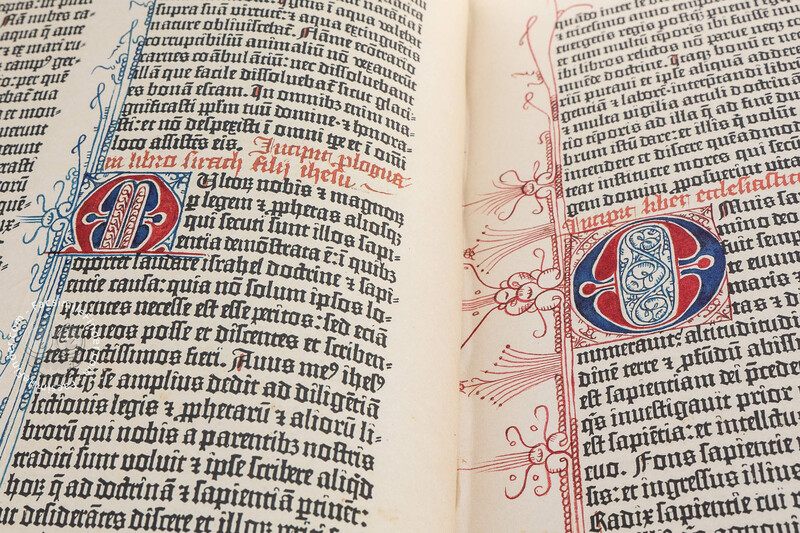 The two-volume latin bible, purchased by the Reverend Chrapicki, Bishop of Chelmno (1496-1508), was offered to the Lubawa (Poland) Order of Francescan friars. 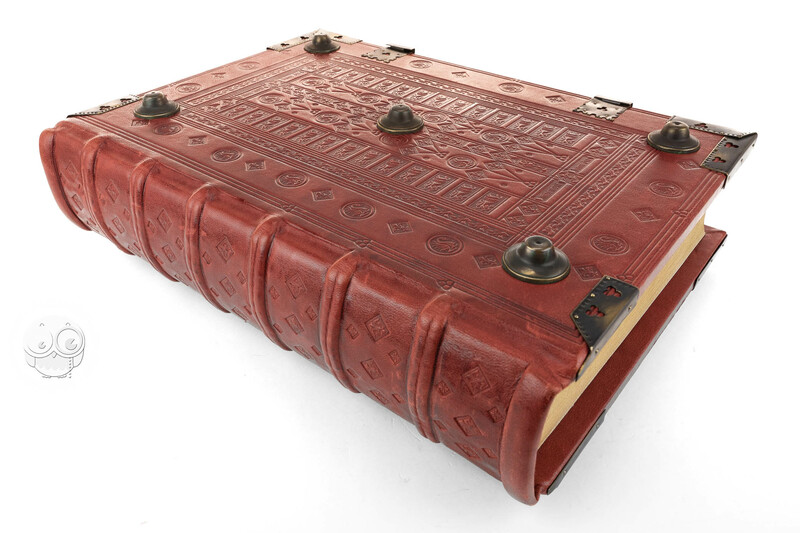 Immediately prior to the Second World war, the Pelplin Bible ran the risk of being lost forever but was saved by the Reverend Liedtke, who managed to safeguard it in a leather suitcase and then hide it in Paris, along with other treasures belonging to the Diocese. 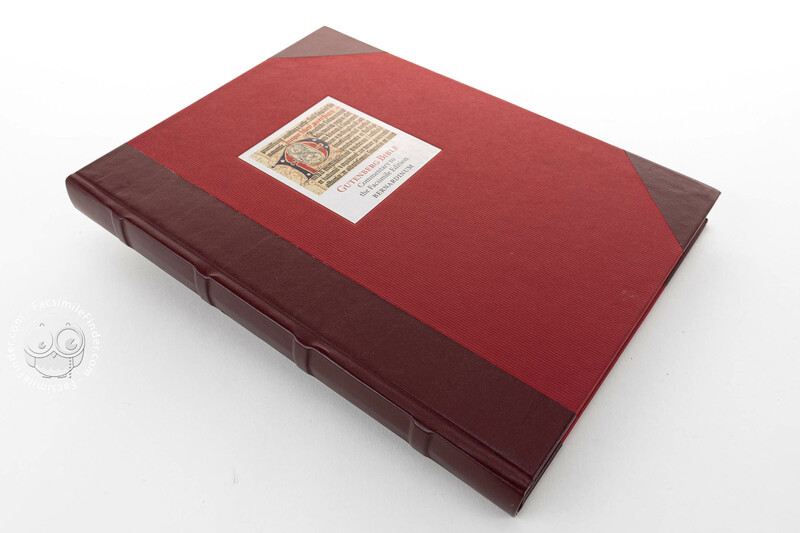 Just before the German troops invaded the French capital, the Polish treasure was taken to London and, subsequently, on to Canada. 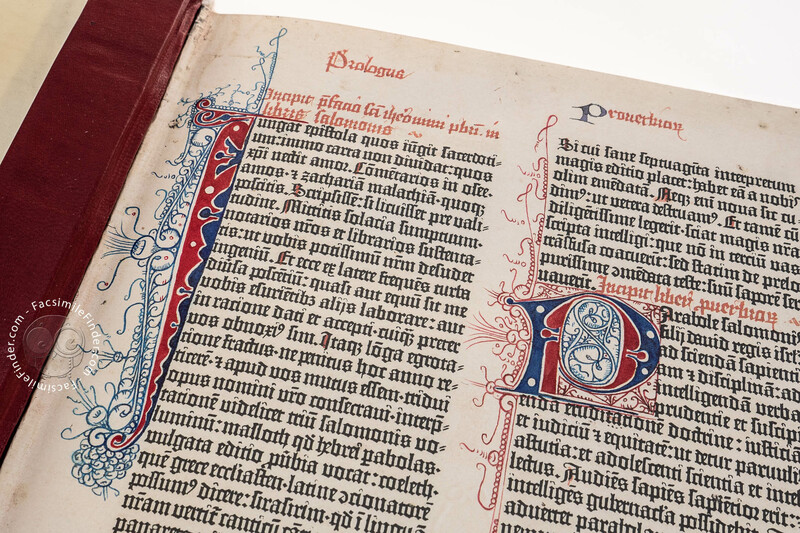 Eventually, after 20 years of being constantly dislocated, the Pelplin diocese treasures were finally restored to their original owner. 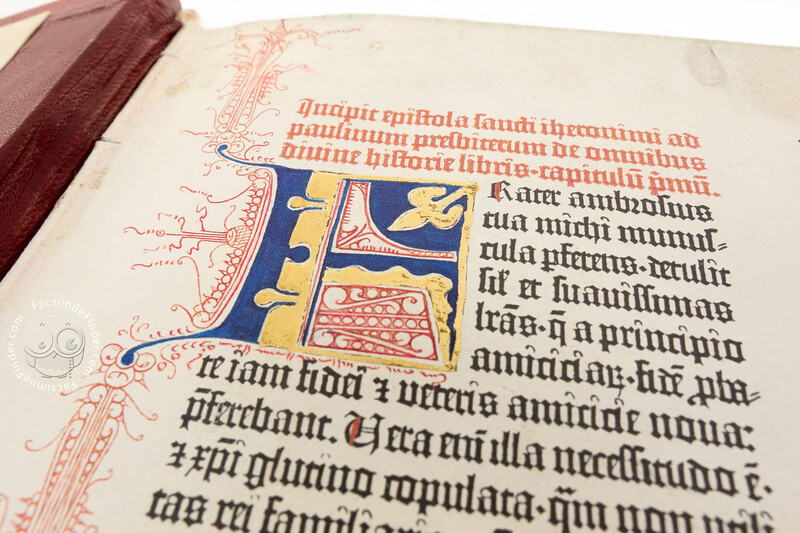 Produced by Henricus Coster of Lubeck in the 15th century. 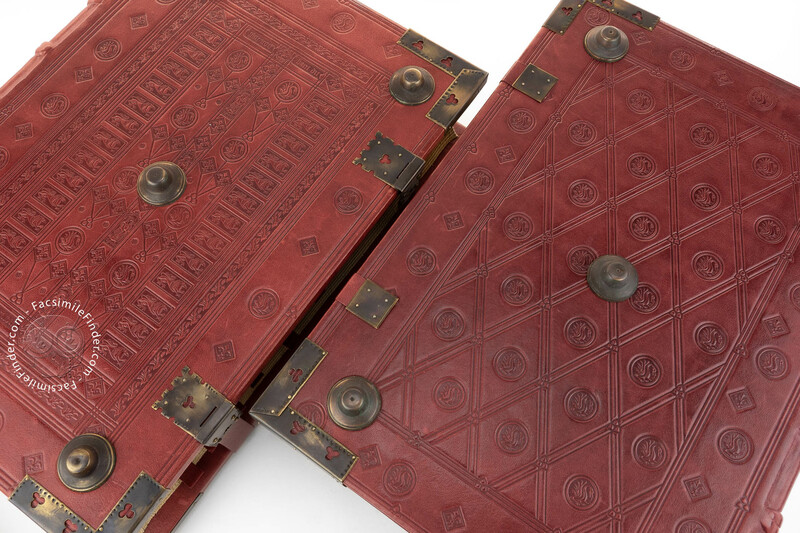 Two oak boards covered with red goatskin. 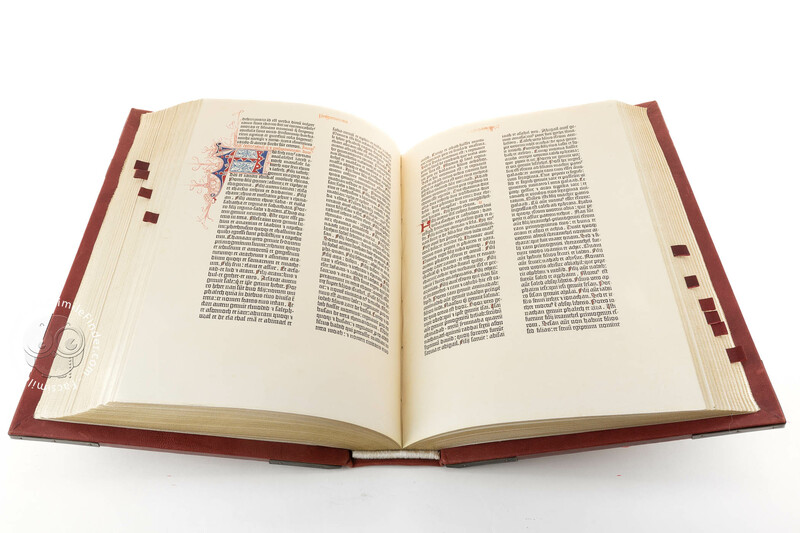 Printed book on paper − 44 × 28.9 cm − 1280 pp. 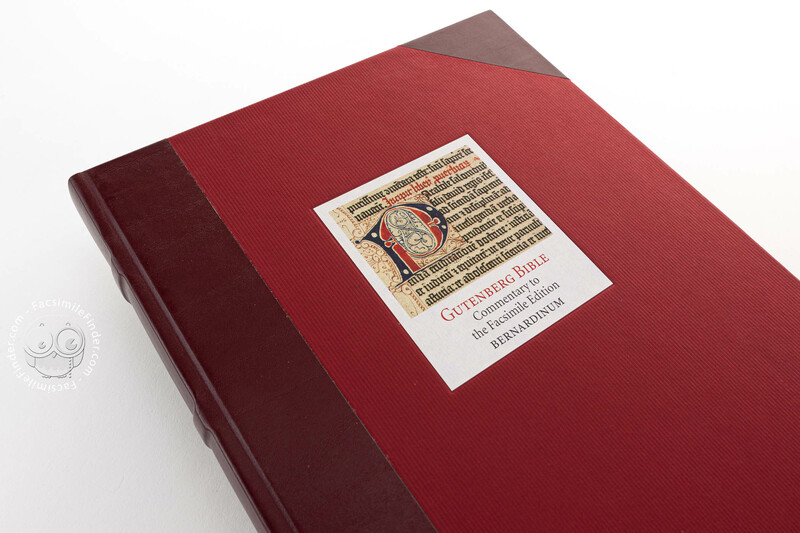 Pelplinskiego egzemplarza Biblii Gutenberga facsimile edition by Bernardinum Wydawnictwo. Full-size color reproduction of the entire original document, Gutenberg Bible - Pelplin copy: the facsimile attempts to replicate the look-and-feel and physical features of the original document; pages are trimmed according to the original format; the binding might not be consistent with the current document binding. 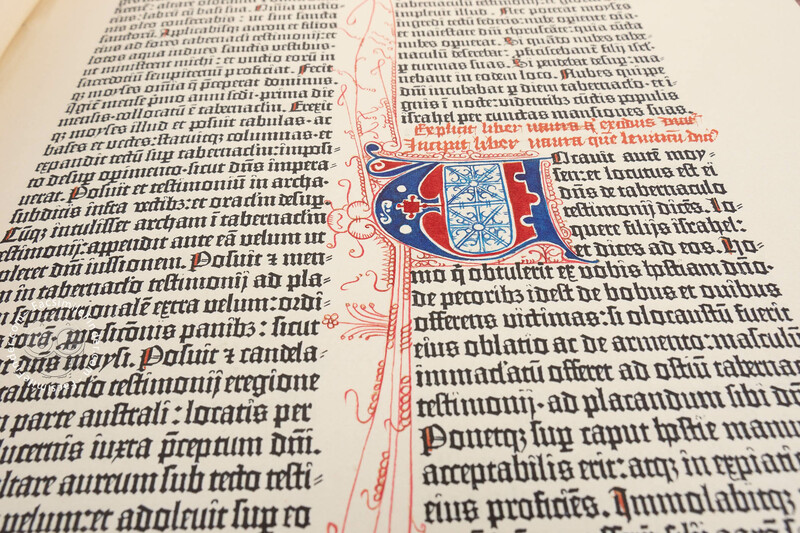 Complete reproduction on watermarked paper. 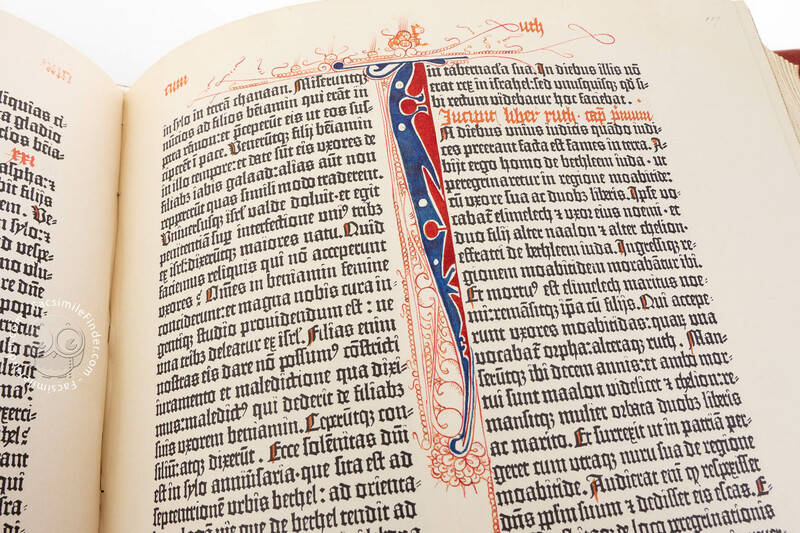 In this facsimile of the Gutenberg Bible all the initials and ornamentation have been reproduced by hand. 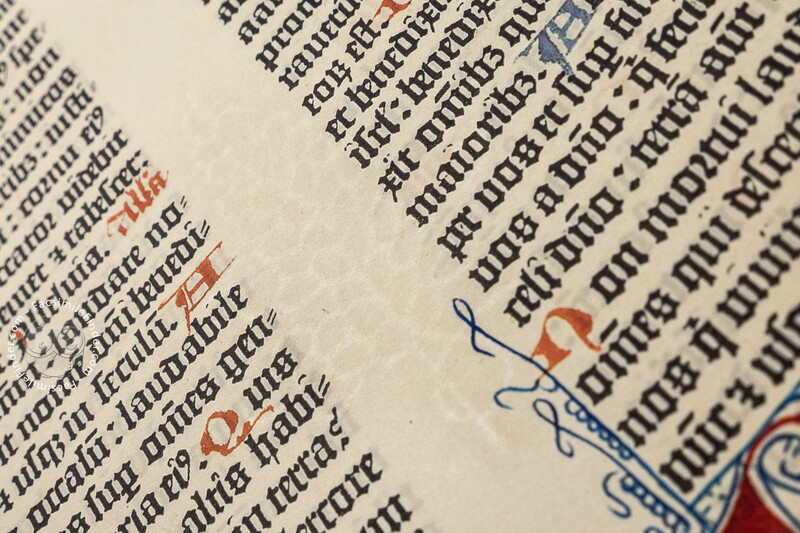 The first initial has been reproduced in exactly the same way as the original: the gold leaf (24 carat) has been applied manually by an illuminator and polished with agate. 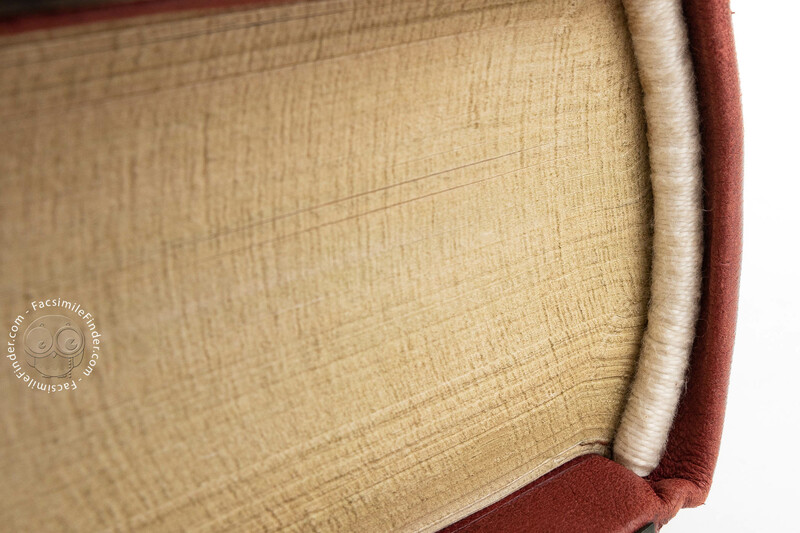 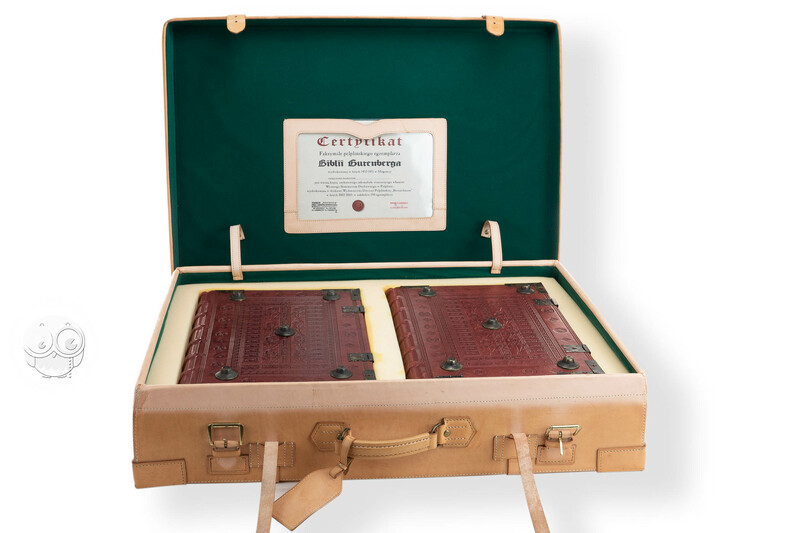 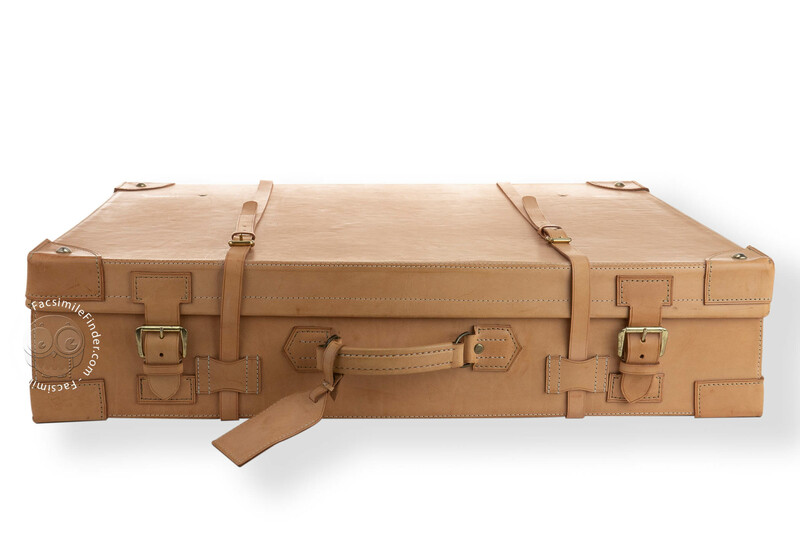 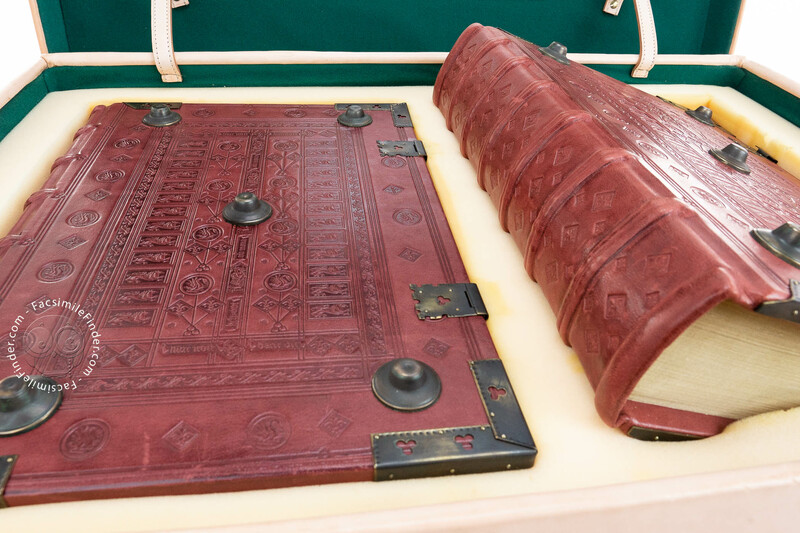 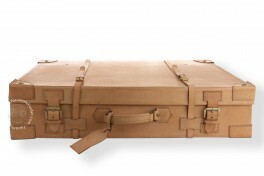 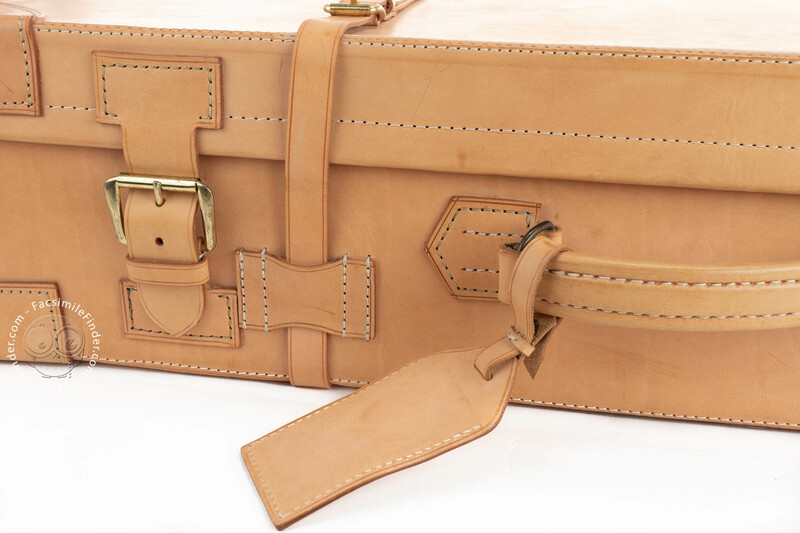 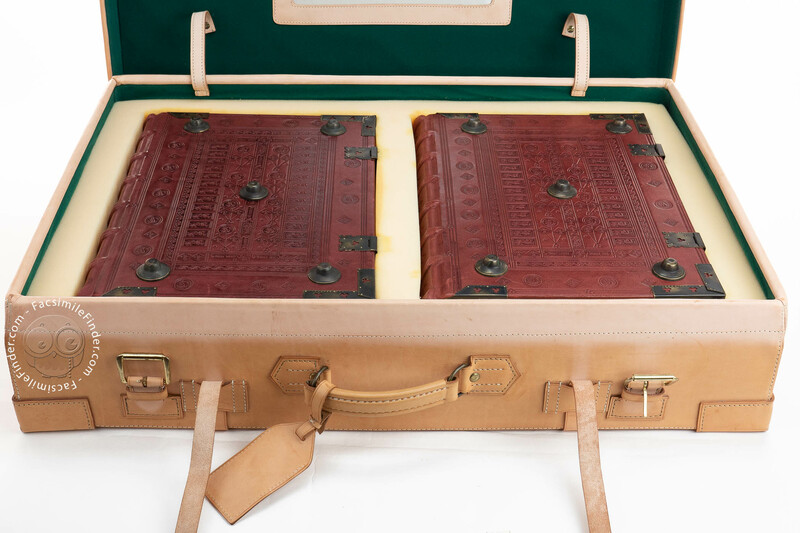 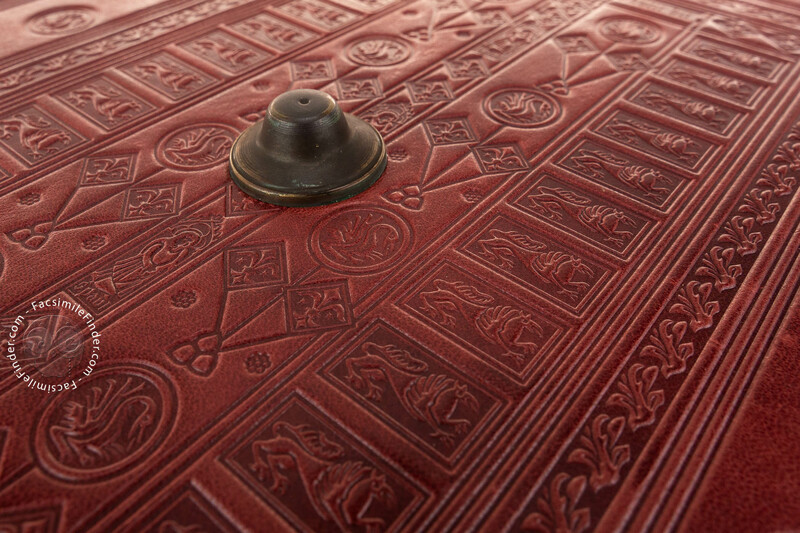 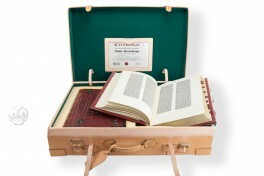 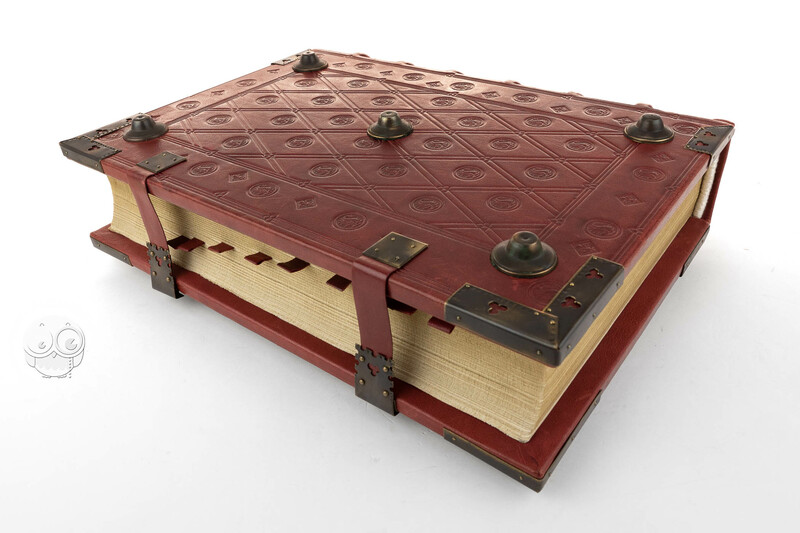 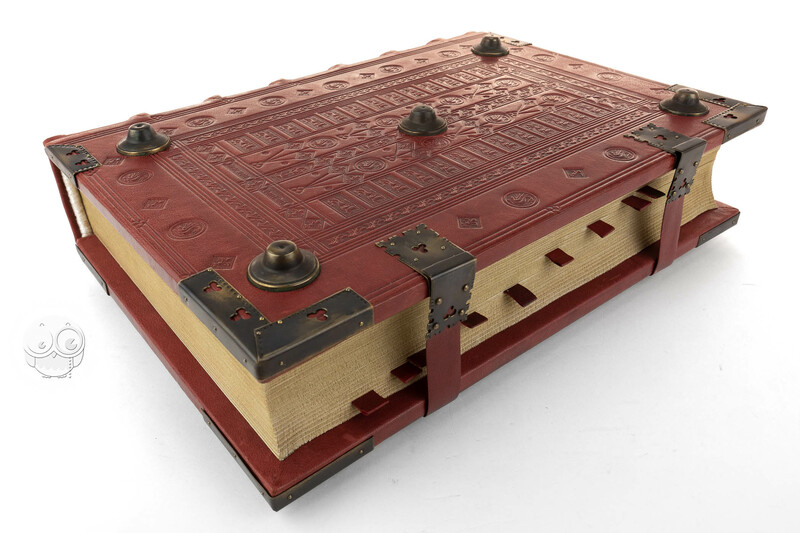 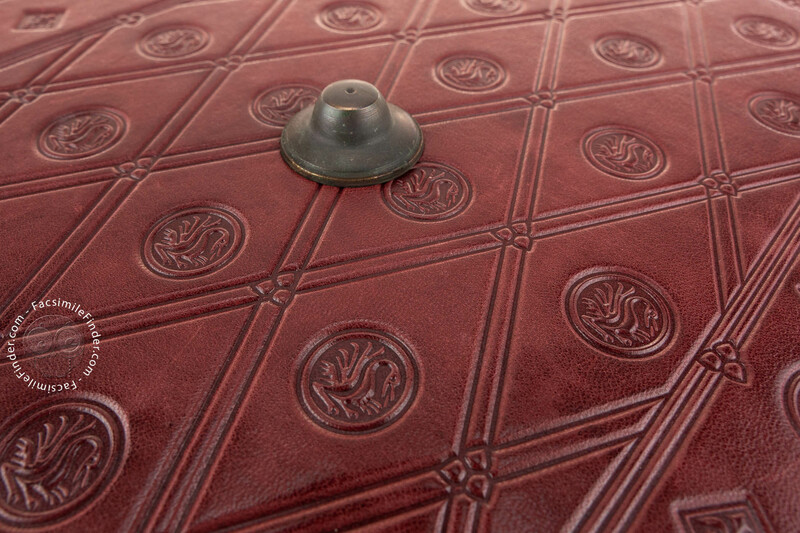 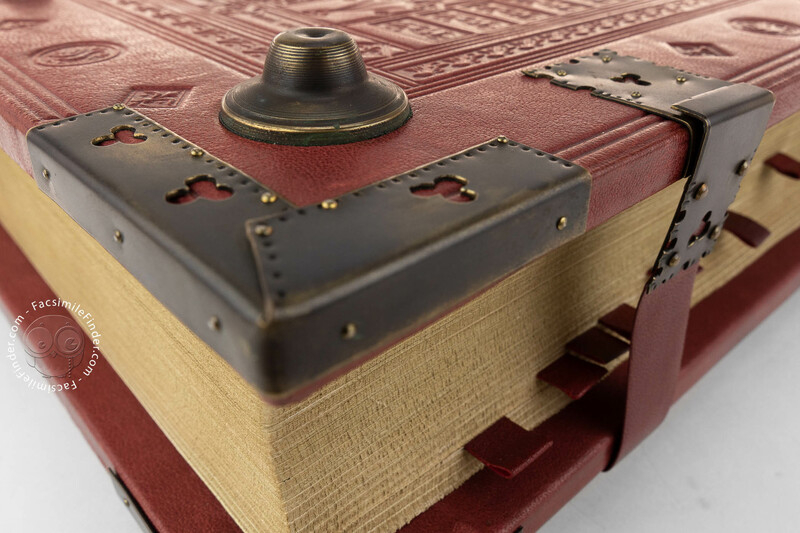 The facsimile edition includes a reproduction of the suitcase used to save the Bible during World War II. 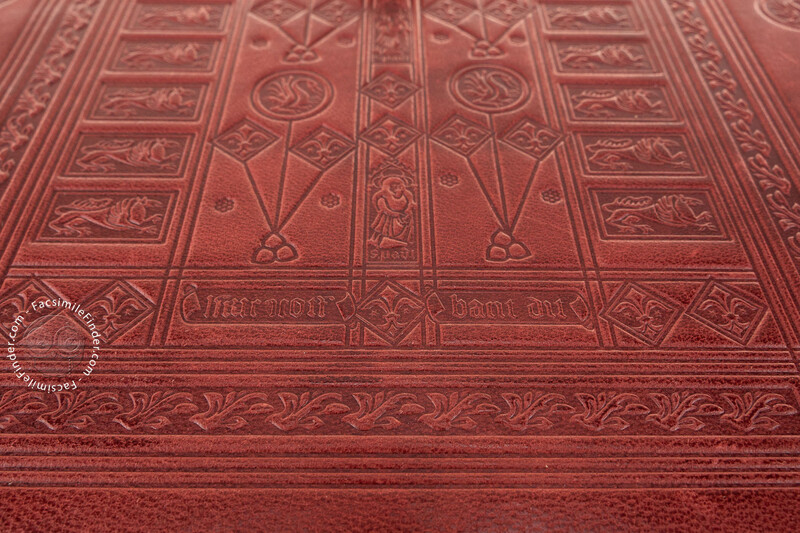 Exact replica of the imposing original cover. 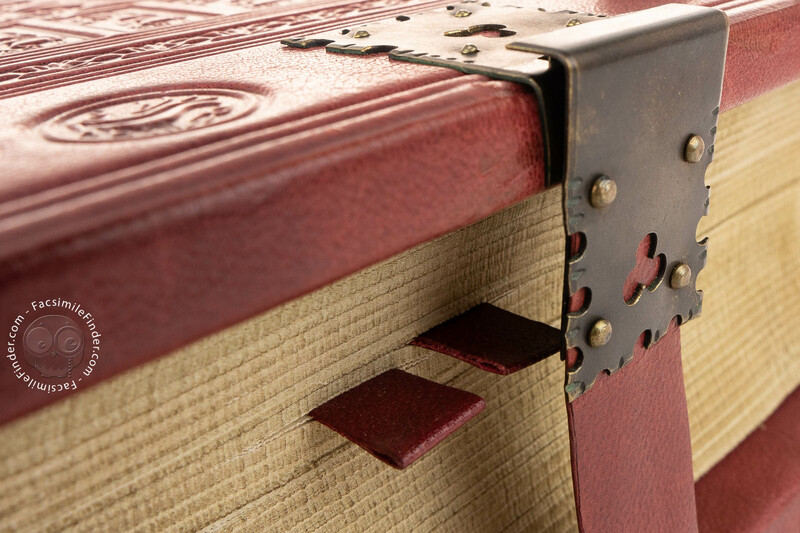 It is composed of two oak boards covered with red goatskin, with the finishing touches of brass studs, edge protectors and tenons fixed to small leather laces. 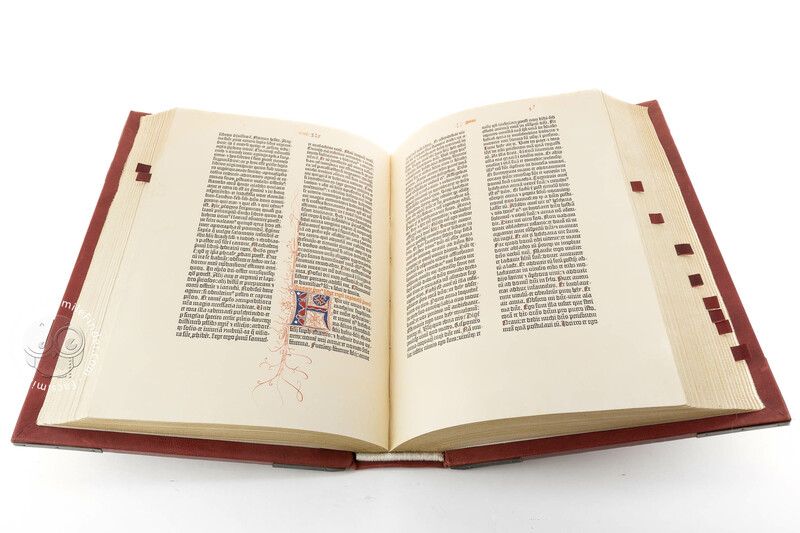 Pelplinskiego egzemplarza Biblii Gutenberga facsimile edition by Orbis Pictus.